Naramuga Vinayagar or Adhi Vinayagar Temple is in Muktheeswarar temple at Thilatharpanapuri which is near by Koothanoor in the Mayavaram Tiruvarur road. It is also known as Sethalapathy. The Vinayagar with human face is known as Adhi Vinayagar. In this temple devotees are doing Thila Tharpana ritual which is the Hindu custom of Pithur Karmas. - When tharpanam to ancestors are not done. - Desires of our ancestors are not fulfilled. 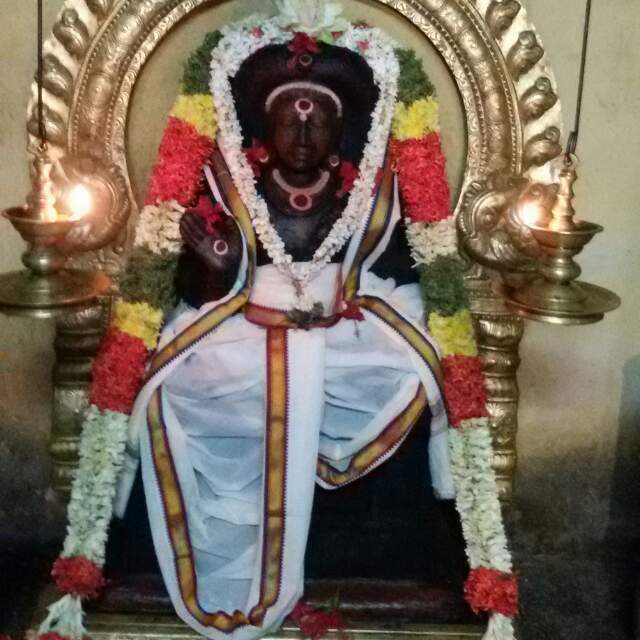 This temple is considered the place to give tharpanam to our ancestor and it is very special when we do tharpana on the day of Amavaysa , by performing this the soul of our ancestors get satisfied and bless us for a happy and peaceful life. Templefolks.com is not a temple agent. We will do pooja on your behalf to offer and deliver Prasad to your home. The amount will be used to buy and provide Prasadam at the temple. And, to awning all assorted costs such as - Covering, Shipping and also includes all government taxes. Normally it takes 7 days you to receive this prasadam from temple, if you are outside India it takes 15 days to receive your prasadam.